One of the major tourist attractions of Tamil Nadu are the blue beaches and clear skies. These long stretches of sun-kissed beaches are perfect for relaxing, bathing and refreshing. One of the most prominent beaches is Covelong beach. The calm blue sea and the long sandy beach is the ideal tourist destination. Its located 40 kilometres away from Chennai, and is a popular weekend getaway for localities. 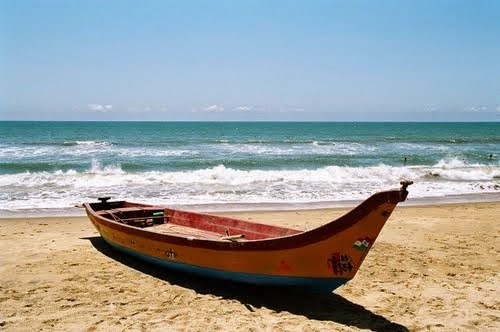 Another exotic and enchanting beach lies in Kannyakumari. The breathtaking merge of Arabian Sea and Indian Ocean creates a picturesque view of the perfect sunset and sunrise. The next must visit beach in Tamil Nadu is Rameshwaram. Considered to be holy land, Rameshwaram is located at the end of the south east corner of Indian peninsula. It is a popular pilgrimage site. Pulicat beach of Tamil Nadu is a divine beach where the charming landscape and salt lakes provide a serene feeling. The Pulicat Lake is India's largest salt water lake. Lastly, Marina beach is the Asia’s second longest beach. Located on the eastern side of Chennai, it is full of various entertainment and food stalls. With its natural sandy beauty and spacious promenade and beautiful gardens, the beach is a major attraction for tourists visiting Chennai.